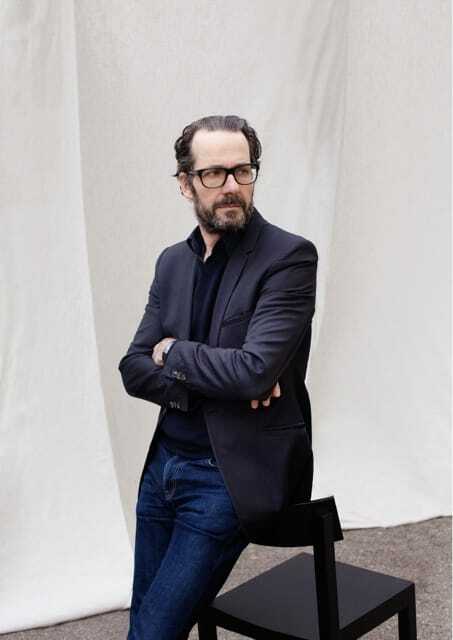 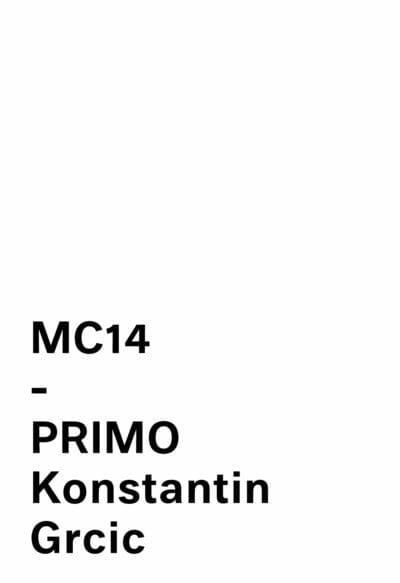 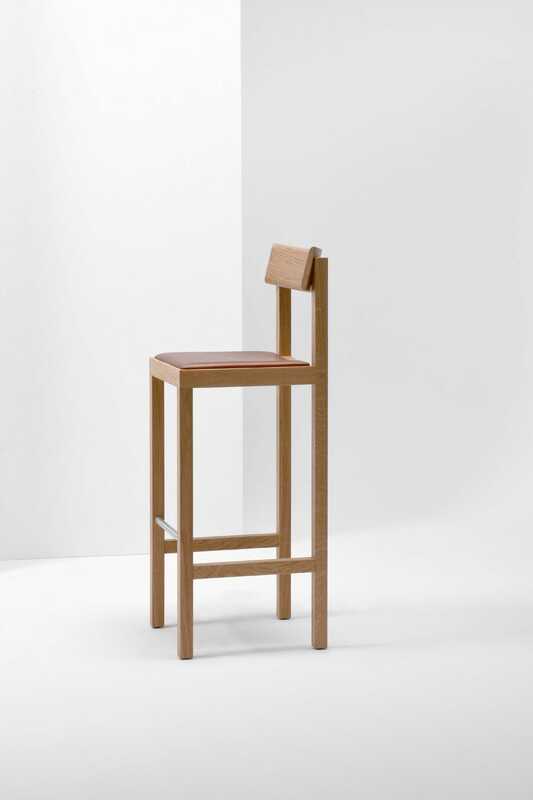 PRIMO EPITOMIZES THE ARCHETYPAL CHAIR. 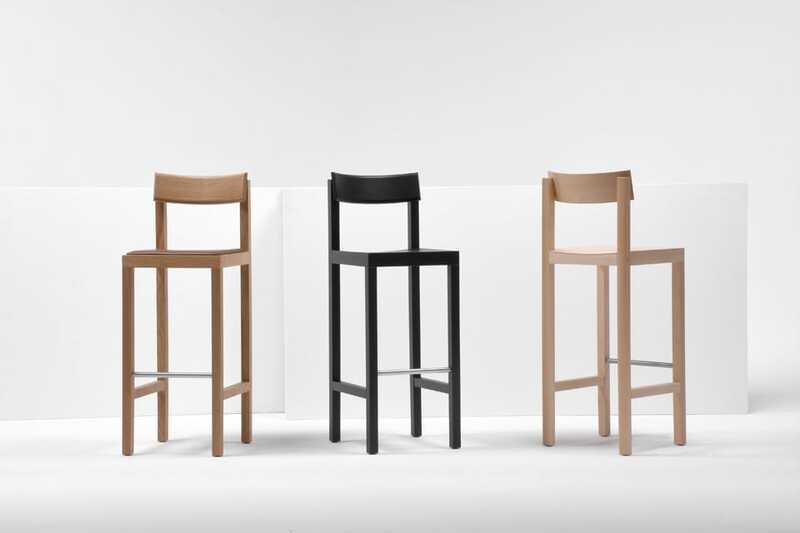 ITS DESIGN COMPRISES OF ONLY THE MOST BASIC ELEMENTS: FOUR LEGS, SEAT AND BACKREST. 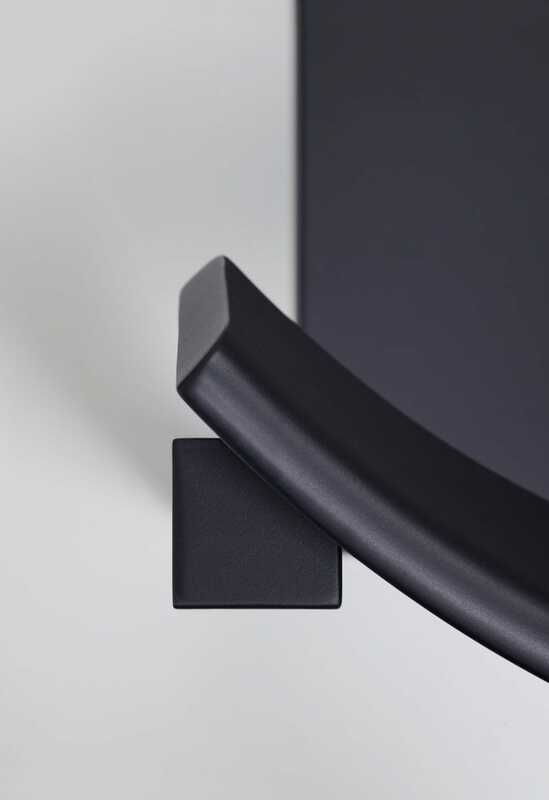 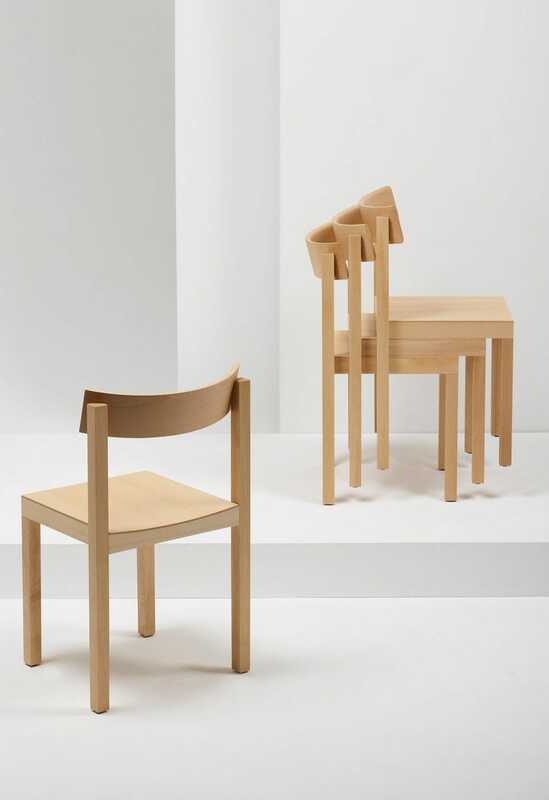 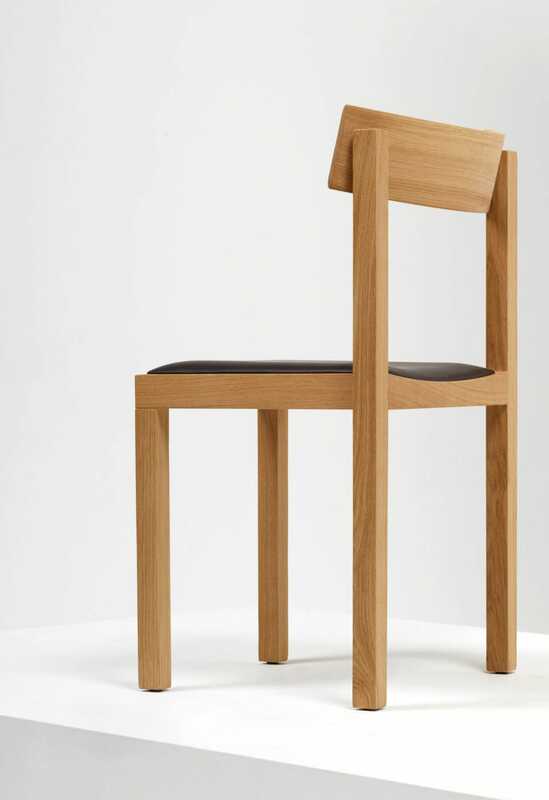 THE STRICTLY VERTICAL ORIENTATION OF ITS LEGS GIVES THE CHAIR A STRONG ARCHITECTURAL PRESENCE. 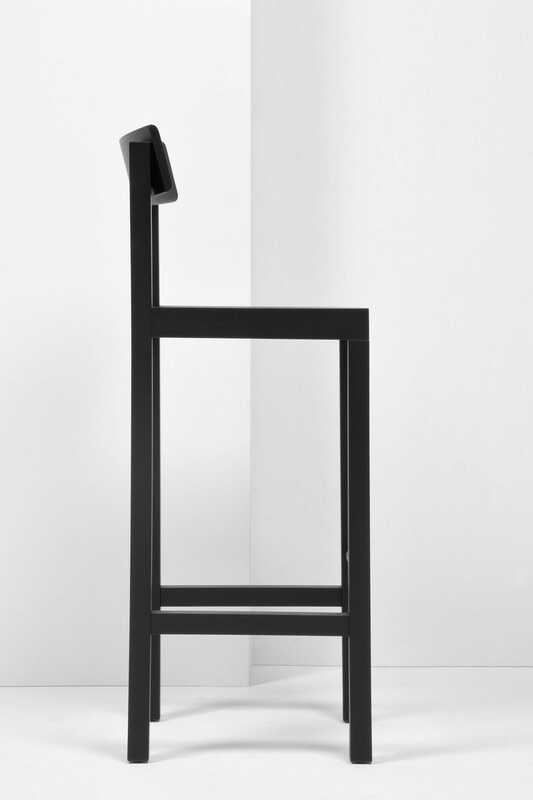 HOWEVER, THE FORMAL STRICTNESS IS DISRUPTED BY THE CURVED BACKREST WHICH SEEMS TO LEVITATE ON THE ENDS OF THE CHAIR’S HIND LEGS. 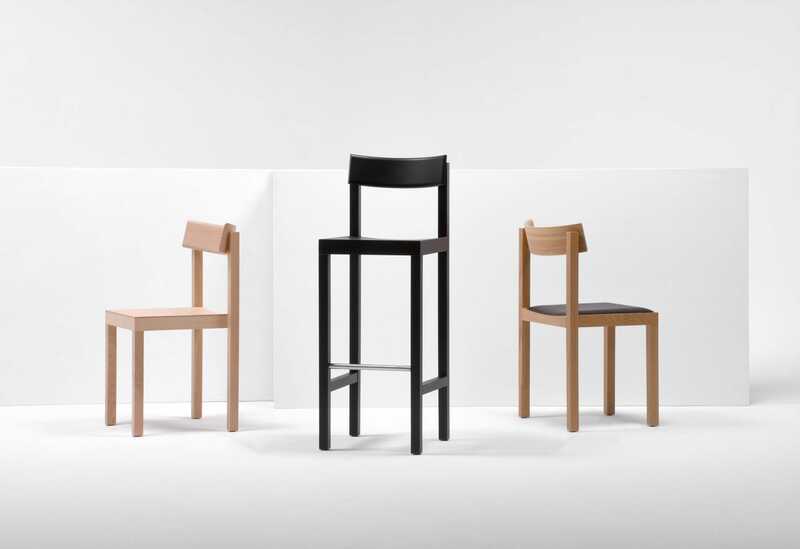 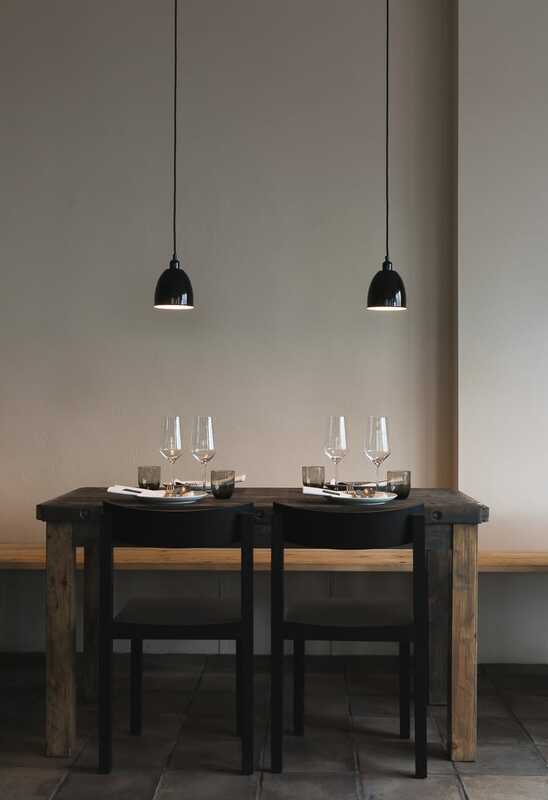 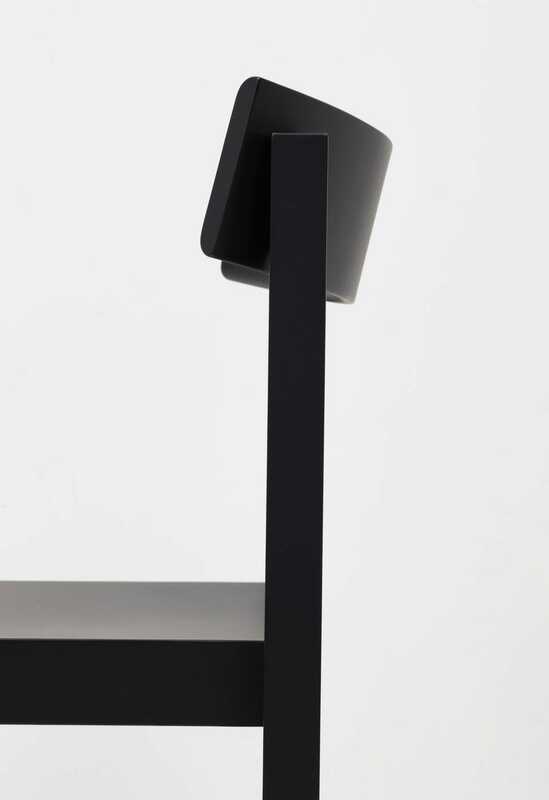 STANDING ON ITS OWN, PRIMO IS DISTINCTIVELY SCULPTURAL. 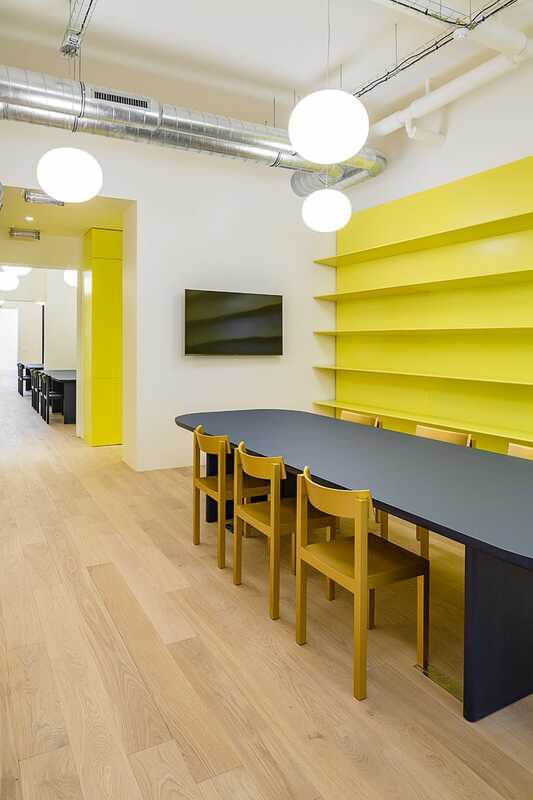 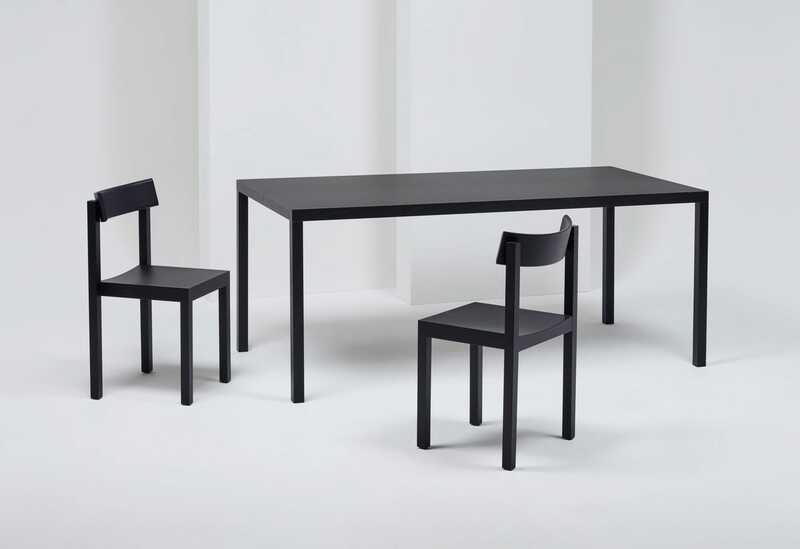 WHEN MULTIPLIED, THE CHAIR CONVEYS AN UNASSUMING RATIONALITY – MAKING IT IDEAL FOR A WIDE VARIETY OF USES IN THE HOME AND CONTRACT MARKETS (DINING, WORKING, AUDITORIUM SEATING, WAITING, AND THE LIKE). 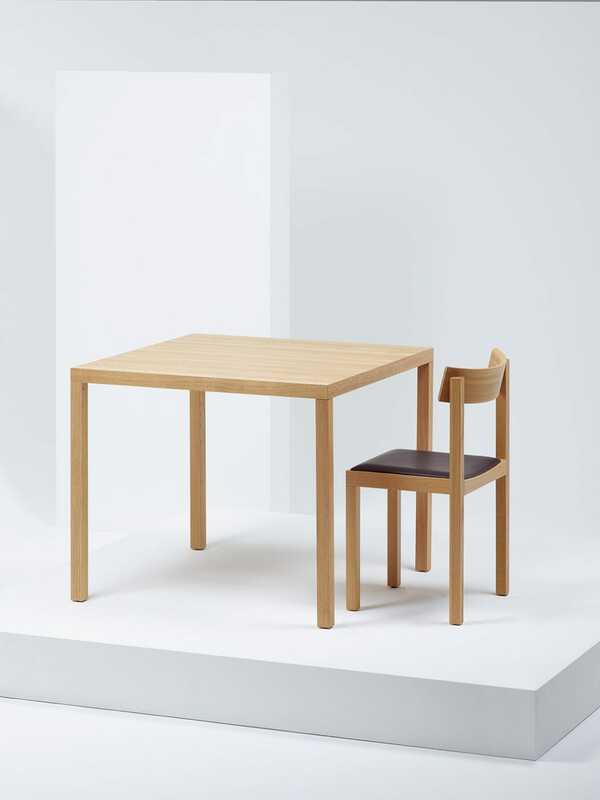 PRIMO’S BASIC MODEL IS MADE OF SOLID BEECH. 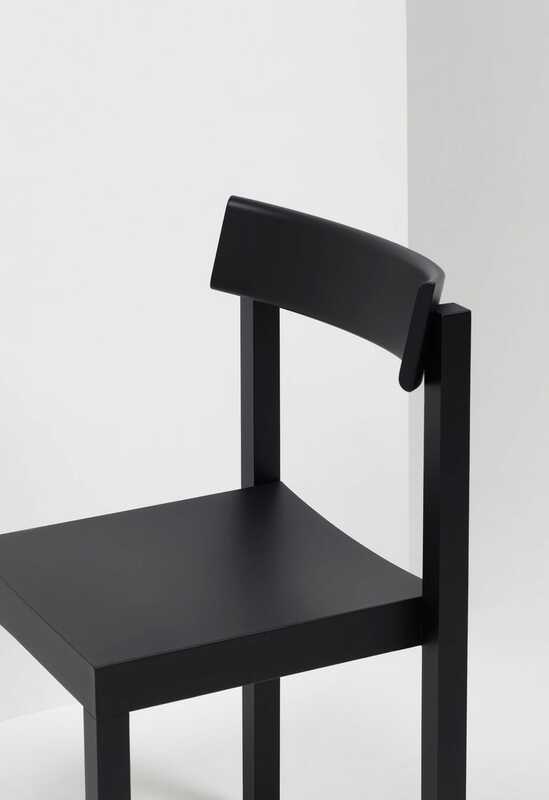 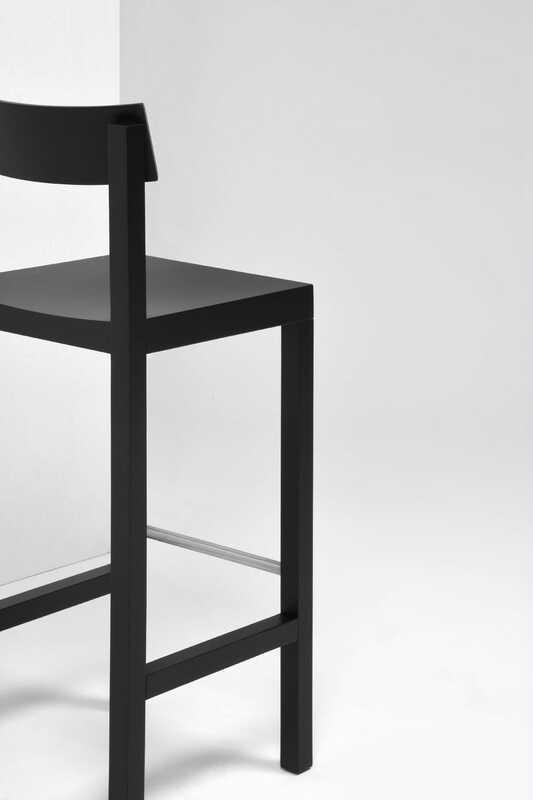 THE BLACK LACQUERED VERSION BRINGS OUT THE CHAIR’S STRONG AND ELEGANT SILHOUETTE. 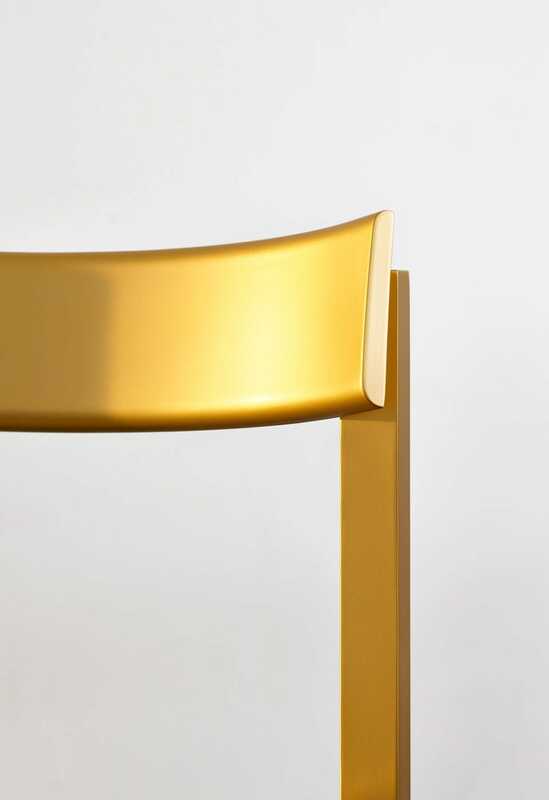 IN GOLD, PRIMO CELEBRATES ITSELF AS AN ULTIMATE ICON. 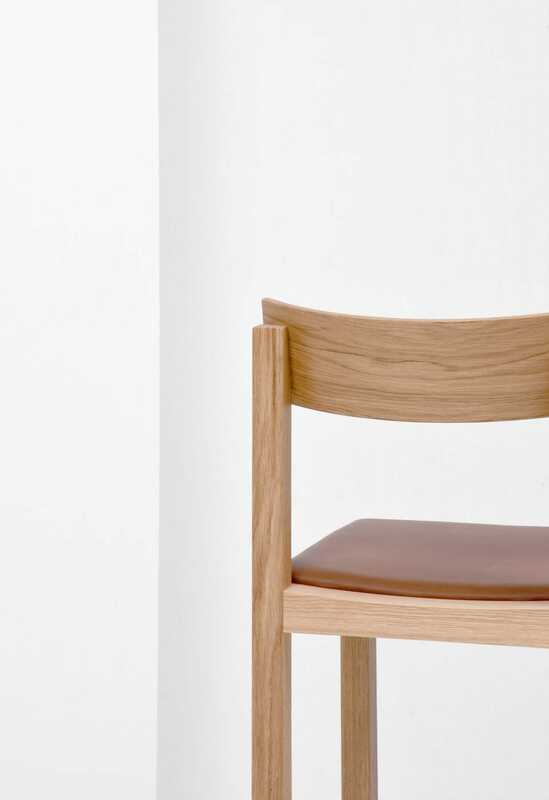 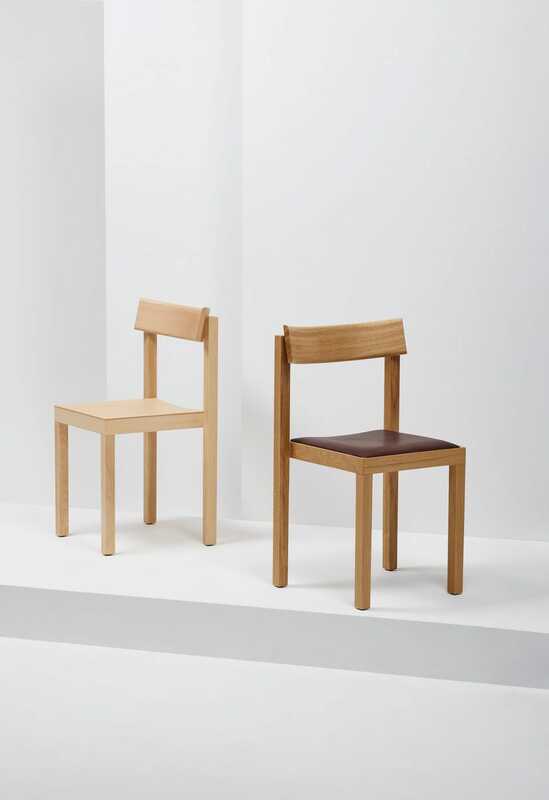 FOR ADDITIONAL COMFORT AND SOPHISTICATION, THE CHAIR ALSO COMES IN SOLID OAK WITH AN UPHOLSTERED LEATHER SEAT. 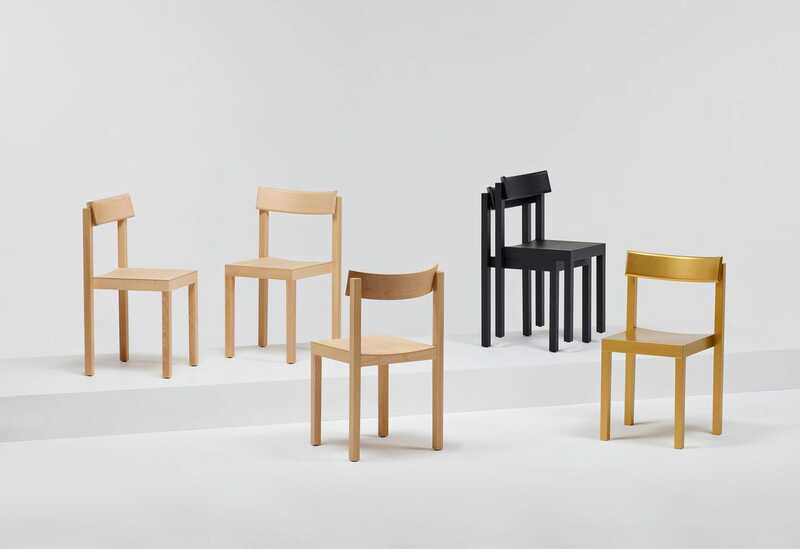 ALL MODELS OF PRIMO CHAIR ARE STACKABLE. 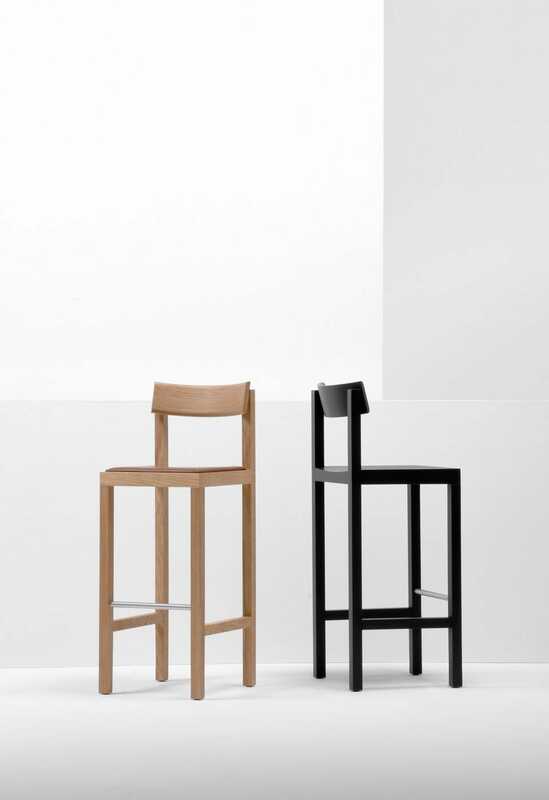 MATCHING THE MINIMALIST DESIGN OF THE CHAIR ARE THE STOOL AND THE FOUR-LEGGED PRIMO TABLE IN DIFFERENT FINISHES AND DIMENSIONS. 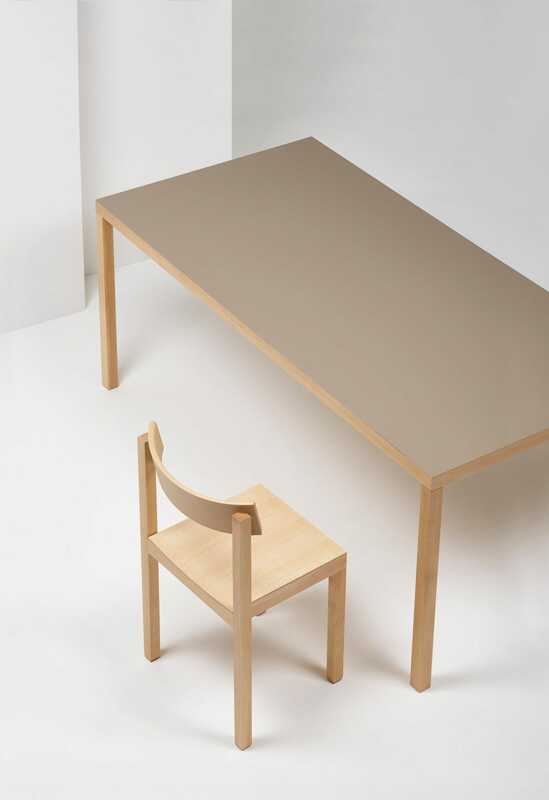 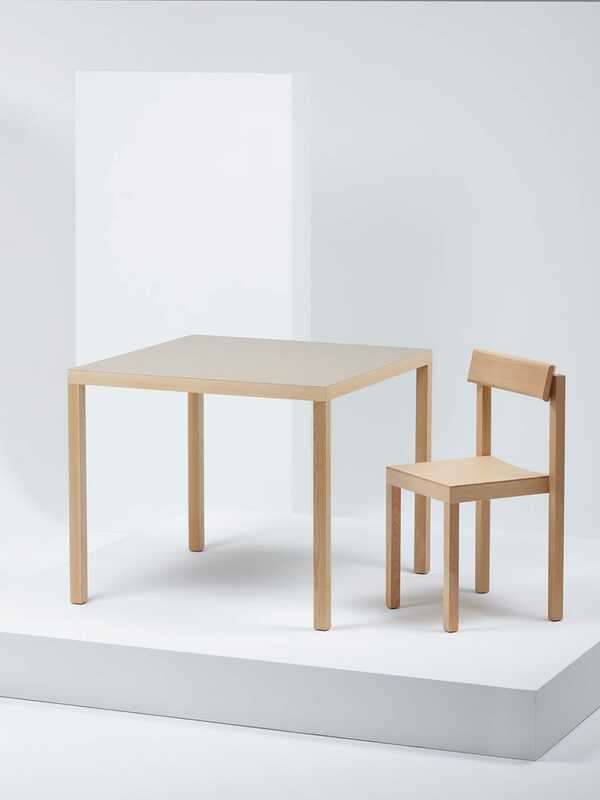 THE TABLE SQUARE-SECTIONED LEGS, FIXED TO EACH CORNER OF THE TABLETOP, ARE DETACHABLE, ALLOWING SPACE-SAVING IN ECOLOGICAL SHIPMENT.